In Moonraker, Sir Hugo Drax drives this model car, which features in the Thursday afternoon/Early Friday morning aspect of the story. 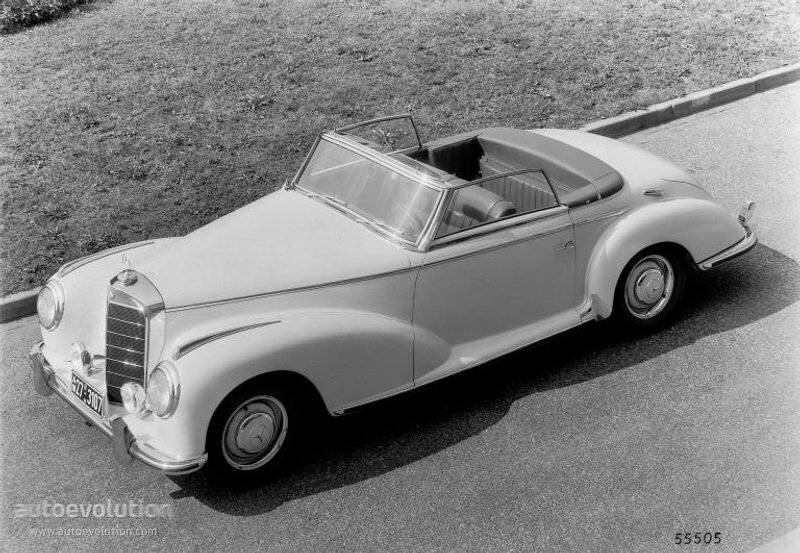 It was a Type 300 S, the sports model with a disappearing hood—one of only half a dozen in England, he reflected. Left-hand drive. Probably bought in Germany. He had seen a few of them over there. One had hissed by him on the Munich Autobahn the year before when he was doing a solid ninety in the Bentley. The body, too short and heavy to be graceful, was painted white, with red leather upholstery. Bond feels that it was typical of Drax to buy a Mercedes. 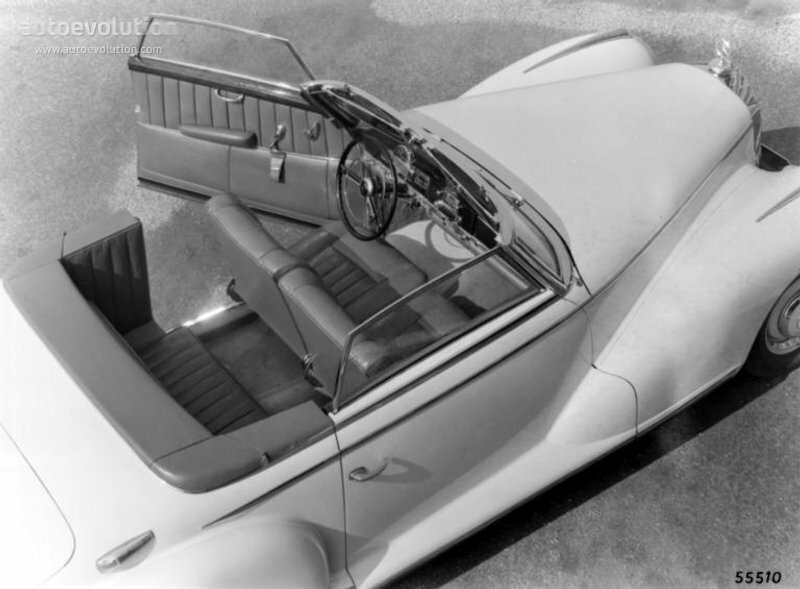 There was something ruthless and majestic about the cars, he decided, and notes that Krebs obediently climbed into the narrow back seat behind the driver. He sat sideways – likely due to the lack of room in the rear. 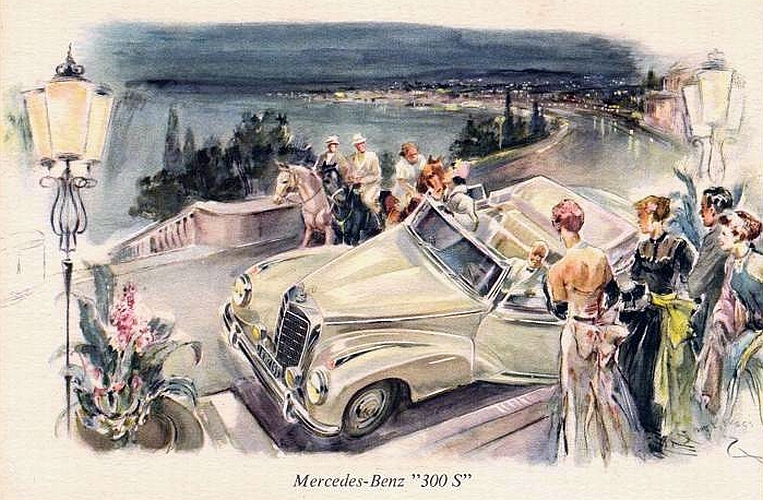 The 300 series was Mercedes’ most expensive line of models in the 1950’s. If I had to guess, I’d say that Drax had the W188 I version of the Type 300 S, which was hand-built, higher engine output and a pricetag 50% higher than the W186 version.